Dashicons are the built-in icon fonts in WordPress. Dashicons in WordPress were introduced in version 3.8. By default, the dashicons are loaded on back-end only. But you can use a simple code to add dashicons to front-end also. Every theme developer nowadays gives preference to use icons instead of images because icons load faster. WordPress dashicons can be consumed by theme and plugin developers also. You can use them everywhere but not beyond the circle. So, lets see how we can add them in front-end and also use them for back-end. 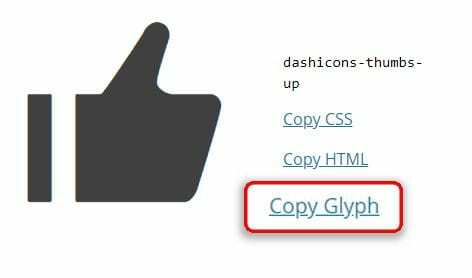 How To Add Dashicons In WordPress? You don’t have to enqueue the dashicons if you are using it on back-end. Because the dashicons in WordPress administration section are loaded by default. But if you want to use these default icons in your WordPress theme, you have to make them available. Lets see how to make them available in WordPress front-end? These days many theme/plugin developer make use of icons to make the products better looking. Those who primarily develop WordPress themes or plugins, use dashicons on their projects. In order to use dashicons on frontend, you have to place following code in functions.php file. Add this code to enqueue WordPress dashicons on frontend. After placing the code, you can use dashicon fonts on frontend easily. How to Use Dashicons on frontend? You might be searching the cheat-sheet of WordPress dashicons. In this section, I will tell you where the cheatsheet is and how to use the icon fonts in a right. Cheat-sheet of these icon fonts can be found here. It is the official cheat-sheet of Dashicons. The icons are made by WordPress and consumed also by WordPress. How to Use Dashicons Cheat-sheet? When you visit official cheat-sheet, you get hundreds of icons to choose from. Once you select any icon, you get the details of the icon on top. If you want to use the icons in CSS, you can copy the CSS code by clicking the “Copy CSS” link. Once you hit the link, you will get the code in pop-up. Copy the code before clicking “Ok” button. Now you can use it in your CSS file. Sometimes you write your own HTML markup for website and you don’t want to create a massive CSS file. In that case, you can use HTML to show the icon. The process is same of copying CSS. Hit the “Copy HTML” link and copy the code. Then click the OK button and you are all set. If you have a Photoshop, you can use these fonts easily. Just copy the Glyph just like we did to CSS/HTML copying and paste that in Photoshop text field. Can we use Dashicons on Custom Post Types? Many of you may ask the question whether we can use these icons for custom post types or not. The answer is “Yes”. You simply have to define the custom post type and then use the parameter ”menu_icon’. There you have to use the Dashicons font as a class. Let’s create a simple custom post type of products. Here, I am using the setting icon. I have copied the icon class and passed that value to ‘menu_icon’ argument. The final result will be just like this. Now you understand how to use Dashicons properly. Now it is time for some practicality. Please let me know if you have any questions or concerns regarding the WordPress dashicons usage. Also, please let me know how was your experience while working with Dashicons. Do share with your friends and colleagues.